Firmness Fortified. Smoothness Redefined. Plumpness Renewed. 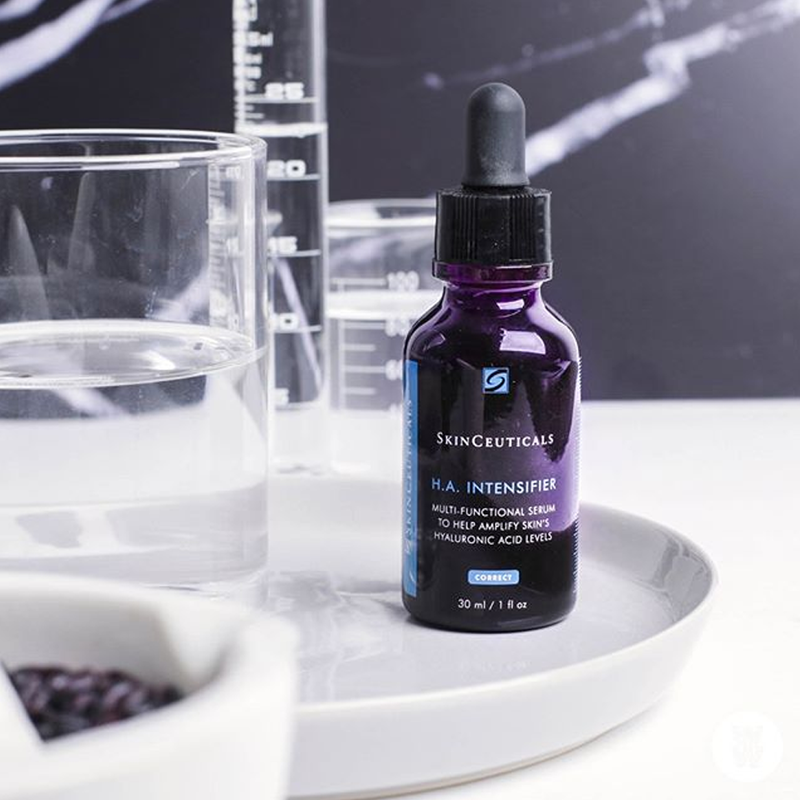 Introducing SkinCeuticals H.A. Intensifier, a corrective serum that amplifies the skin’s hyaluronic acid levels by 30%. Hyaluronic acid (HA) is a large-chain polysaccharide found throughout the body. In the skin, HA plays an important role in maintaining skin’s biomechanical properties and is a powerful natural humectant which helps to regulate moisture levels in skin.